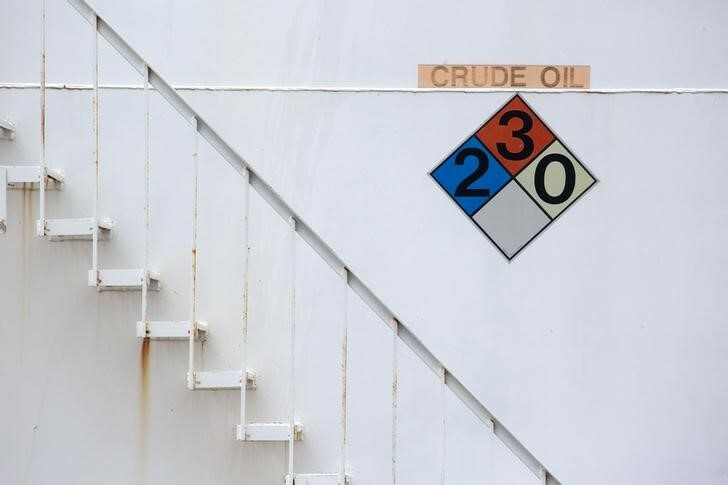 Investing.com – Oil finished higher on Friday, with prices climbing back toward their best level since July 2015 after OPEC and other crude producers agreed to extend existing output cuts until the end of 2018 to tighten global supplies. But prices came off session highs as financial markets reeled from an ABC News report that added to concerns about President Donald Trump’s exposure to a probe into Russian meddling in last year’s campaign. Brent crude futures, the benchmark for oil prices outside the U.S., jumped $1.10, or roughly 1.8%, to settle at $63.73 a barrel by close of trade. It rose to a session peak of $64.32, putting the contract within striking distance of a two-and-a-half-year high of $64.65. Meanwhile, U.S. West Texas Intermediate (WTI) crude futures tacked on 96 cents, or around 1.7%, to end at $58.36 a barrel. That was the highest settlement since last Friday, when prices reached their strongest level since the summer of 2015 at $59.05. For the week, Brent marked a climb of about 0.4%, while WTI lost 1%. They respectively gained 3.5% and 5.5% in November. The Organization of Petroleum Exporting Countries (OPEC), along with some non-OPEC producers led by Russia, agreed on Thursday to extend current oil output cuts for a further nine months until the end of next year, as expected. They also signaled a possible early exit from the deal should the market overheat and prices rise too far. The deal to cut oil output by 1.8 million barrels a day (bpd) was adopted last winter by OPEC, Russia and nine other global producers. The agreement was due to end in March 2018, having already been extended once. The OPEC-led production cuts have been one of the key catalyst supporting the recent rally in oil prices amid expectations that rebalancing in crude markets are well underway. However, fears that rising U.S. output would dampen OPEC’s efforts to rid the market of excess supplies are prevented prices from rising much further, according to market participants. U.S. energy companies added two oil rigs in the week to Dec. 1, bringing the total count up to 749, the highest since September, General Electric (NYSE:GE)’s Baker Hughes energy services firm said in its closely followed report on Friday. Domestic U.S. output has rebounded by almost 15% since the most recent low in mid-2016, and increasing drilling activity for new production means output is expected to grow further, as producers are attracted by climbing prices. U.S. oil production hit a new record of 9.68 million bpd last week, according to government data released during the week, bringing U.S. output close to levels of top producers Russia and Saudi Arabia. In other energy trading, gasoline futures inched up 1.1 cents, or 0.7%, to end at $1.741 a gallon on Friday. It closed around 2.6% lower for the week. Heating oil advanced 4.3 cents, or 2.3%, to $1.941 a gallon, marking a 0.6% weekly loss. Meanwhile, natural gas futures added 3.6 cents, or 1.2%, to settle at $3.061 per million British thermal units. For the week, futures gained 8.8%, as traders reacted to forecasts calling for more heating demand through mid-December. In the week ahead, market participants will eye fresh weekly information on U.S. stockpiles of crude and refined products on Tuesday and Wednesday to gauge the strength of demand in the world’s largest oil consumer. The American Petroleum Institute, an industry group, is to publish its weekly report on U.S. oil supplies. The U.S. Energy Information Administration is to release weekly data on oil and gasoline stockpiles. The U.S. government will publish a weekly report on natural gas supplies in storage. Baker Hughes will release weekly data on the U.S. oil rig count. This entry was tagged brent crude, crude futures, crude oil futures, crude oil prices, OPEC, U.S. West Texas Intermediate Crude, WTI. Bookmark the permalink.